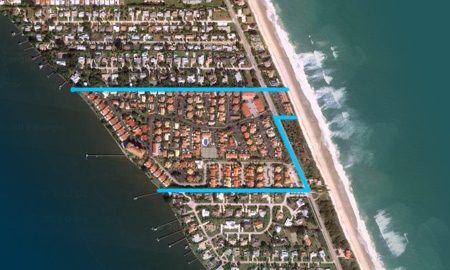 Beach Woods in Melbourne Beach is a gated ocean to river community featuring townhomes, condominiums and small single family homes. Established in the mid-80’s, this exceptionally well-maintained community features deeded beach access, two community swimming pools, tennis courts, community fishing pier and more. It has everything you might expect in a vacation resort, but units can not be rented for less than one month, so it retains a quiet residential atmosphere. Homeowners association fees vary depending upon location in the community. Great prices here – perfect for a second home! 1.2 miles north of Driftwood Plaza (Publix). 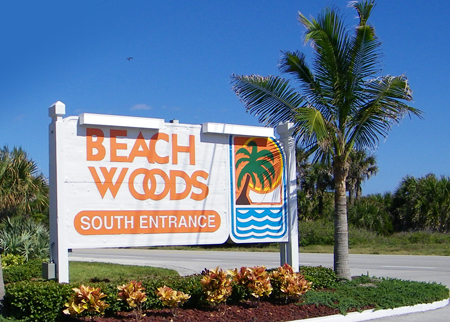 Beach Woods of Melbourne Beach is located in the upper south beaches. 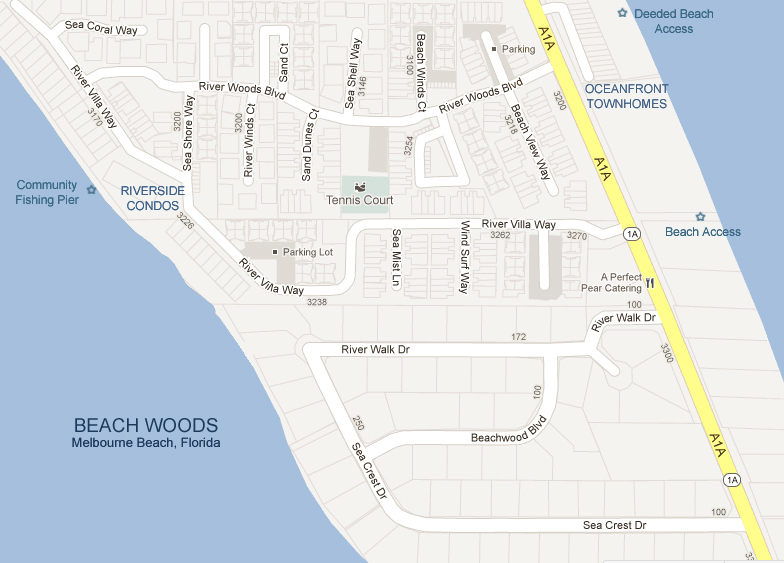 Enter community from Highway A1A via gated north entrance, River Woods Blvd., or south entrance, River Villa Way. Beaches: Beach Woods features a deeded beach access across from the north community entrance, and a path across from the south community entrance.